Common Pleas Court Judge Teresa Sarmina closed the latest chapter in the clergy sexual abuse scandal in Philadelphia by sentencing Msgr. William Lynn to three to six years in state prison. During the sentencing hearing July 24, after more than two hours of arguments and letters presented from victims and Msgr. Lynn’s defense, Sarmina handed down a sentence just shy of the maximum seven years. 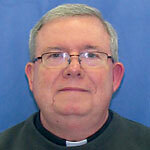 The former secretary for clergy, who recommended priest assignments to the archbishop of Philadelphia and investigated claims of sexual abuse of minors by clergy, was found guilty of one felony charge of endangering the welfare of a child June 22. He became the first official of the Catholic Church in the United States to be convicted of a felony not for abusing a child, or even witnessing it, but for his responsibilities in managing priests, some of whom abused children. “We held responsible a man who did not abuse children himself, but who did not do enough to protect children,” Williams said outside the Criminal Justice Center in Philadelphia. Msgr. Lynn’s conviction resulted from the actions of a former priest, Edward V. Avery, who last March pleaded guilty to abusing an altar boy in 1990. Avery, who was laicized in 2006, is serving two and a half to five years in prison. In a statement, the Archdiocese of Philadelphia said it remained “committed to protecting children and caring for victims,” while adding that “fair-minded people will question the severity of the heavy, three to six year sentence imposed on Msgr. Lynn today. We hope that when this punishment is objectively reviewed, it will be adjusted. “We pray for Msgr. Lynn and his family at this difficult time,” the statement said. Williams said Msgr. Lynn was “institutionally responsible” for the suffering of victims of sexual abuse by priests. Evidence at trial showed that months after becoming secretary for clergy in 1992, Msgr. Lynn took the initiative to compile a list from church archives of known or possibly abusive priests spanning several decades. He presented the list of scores of priests to Cardinal Anthony Bevilacqua, then archbishop of Philadelphia at the time. The Cardinal ordered that the list be shredded, but a copy was retained and forgotten in a locked safe at the Archdiocesan Pastoral Center in center city Philadelphia. Once he knew of the list and the extent of the clergy sexual abuse problem, Msgr. Lynn should have resigned, Williams said. Fellow defense lawyer Jeffrey Lindy contended that even child endangerment convictions in which the guilty person was present and witnessed the offense “never” warrant as stiff a sentence as received by Msgr. Lynn, who did not witness the abuse. This latest chapter of the clergy sexual abuse scandal may be closed, but the crisis that broke nationally in 2002 and that has embroiled the Archdiocese of Philadelphia ever since is far from over. Msgr. Lynn’s defense team vowed to appeal their client’s guilty verdict. Bergstrom, outside the courthouse after the verdict, mentioned the court’s decision to try his client on a child endangerment statute, which included supervisors such as Msgr. Lynn, that was only in place in 2007. Msgr. Lynn left his position in 2004. “We think we’ll prevail,” Bergstrom said. Msgr. Lynn’s codefendant at the trial, Father James J. Brennan, will have his case retried by the district attorney’s office after the jury declared itself hung and unable to render a verdict. A hearing to determine a date for the retrial is Aug. 14. District Attorney Williams said his office continues to investigate individuals as a result of two grand jury reports in 2005 and 2011. In its statement, the Archdiocese addressed the broad arc of the crisis. “From the challenges the Church has faced both nationally and locally over the past decade, we understand the full gravity of sexual abuse,” it said. “This year and even this week, Pennsylvania has been the epicenter of this issue, and we know there is legitimate anger in the broad community toward any incident or enabling of sexual abuse. The trial of the past several months has been especially difficult for victims, and we profoundly regret their pain. Meanwhile, Lindy told reporters with exasperation that Msgr. Lynn must now report to the State Correctional Institution Graterford, Montgomery County for processing, then to another prison in Camp Hill, Pa.
“And after that, I don’t know,” he said. Reading your article, I fnd inaccuracies immediately. In fact, there was not two hours of argument nor letters. Letters from victims were referenced during the sentencing, but that was the judge speaking. Really, it was a long line of Catholics, speaking for Lynn, telling the judge to let Lynn go scot free. They detailed the positive things Lynn did for the Church and acted as if that was enough to ignore his illegal behavior and subvert the rule of law for him. The prosecution called no one. The victims of Lynn are too many and too far flung to have them all tromp through the courtroom. The Archdiocese of Philadelphia said it remained ”committed to protecting children and caring for victims,” while adding that “fair-minded people will question the severity of the heavy, three to six year sentence imposed on Msgr. Lynn today. Many “fair-minded people” have been questioning, ever since the release of the first Grand Jury Report in September 2005, why archdiocesan leadership and management, both lay and clergy, chose to protect the leaders and institution at the expense of the innocence, beauty, health, spirit and mind of many young child and young adult victims throughout the Archdiocese of Philadelphia. The lawyers representing Monsignor Lynn seem to be only interested in their own financial gain from the trial. I can’t believe that Bergstrom believes he will win on appeal. If he is so sure why doesn’t he represent the Monsignor for free or on a contingency basis. This situation sounds exactly like the Joe Paterno case. Both the Monsignor and Joe Paterno followed the letter but NOT the spirit of the law on child abuse.